Additions to the GFHG web site | Geelong Family History Group Inc.
Now that we have all the basics on our new Geelong Family History Group web site we’ve been able to start working on some important additions. 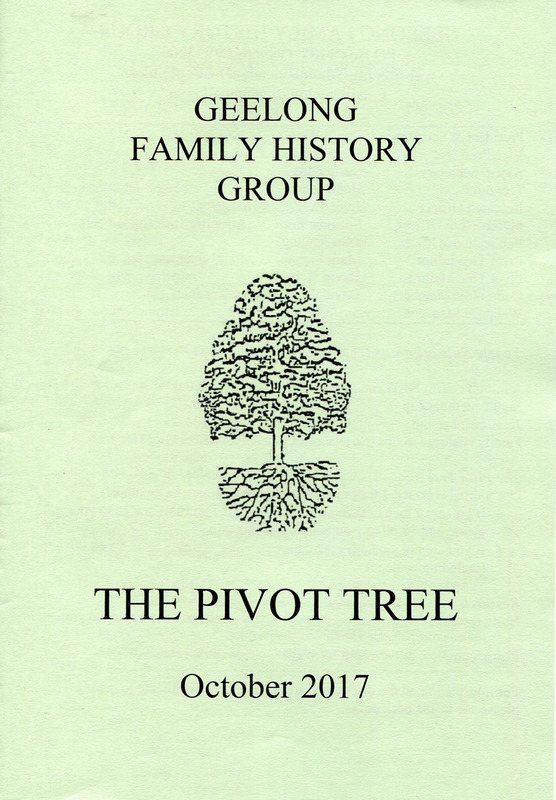 Pivot Tree: we’ve added procedures and closing dates for submitting articles to our Geelong Family History Group journal. Past issues of Pivot Tree have been indexed – 1984 to 2000 – and are in the Geelong and District Database. If you want to limit your search to ONLY entries in the Pivot Tree, put the words pivot tree in the Title field. It is hoped that this indexing will continue from 2000 to the present. Meetings, Speakers and Topics: in addition to our current year’s syllabus (2018), we’ve dug into our minutes and compiled a list of past meetings – 2006 to 2017. It’s quite a walk down memory lane looking at the differet speakers and topics over the past twelve years. If I find the older minute books I should be able to add to this list. As we roll over each year we’ll move the list of speakers and topics to the PAST meetings section to make way for the next year’s program. And of course YOU can contribute with articles for Pivot Tree or suggestions for speakers or topics for our meetings. Please get in touch! This entry was posted in Family history, Family History Research, GFHG Web Site and tagged GFHG Web Site, Pivot Tree, Speakers, Topics. Bookmark the permalink.